In het cd-boekje wat bij de normale cd zit staat de tekst. 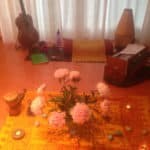 In het gebonden boekje van de speciale uitgave zit de tekst, uitleg én mooie verhalen over Hanuman en de Hanuman Chalisa, plus mooie foto’s. Dat wil je niet missen voor een paar euro extra! This is a beautiful and extraordinary work. Krishna Das has the ability to move into a space of love with his singing and to take the listener there with him. Furthermore on this CD not only does he present many variations of how to sing the Hanuman Chaleesah, he also takes the time to go through the pronunciation, slowly, carefully and lovingly, so that the listener can also become the singer with or without him. As a focused meditation the Hanuman Chaleesah brings centredness and joy. With Kirshna Das it becomes ecstasy. 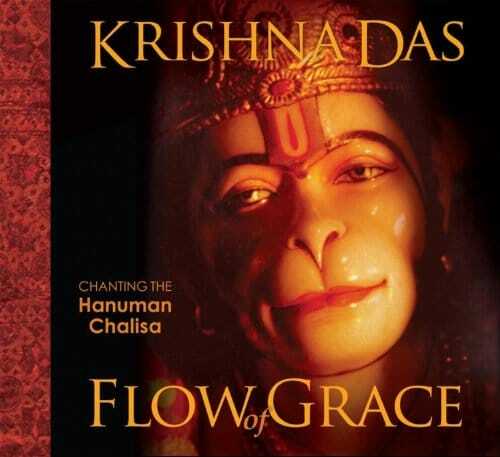 Thank you, Krishna Das for this CD. Can not put in words the peace it brings untill you hear it yourself. 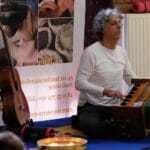 KrishnaDas is just magical in his chants … will bring you joys of spirtual experience! I don’t have any interest in this, but I bought it for my wife. She seems well pleased. Muziek die je raakt tot in je binnenste IK! Luister in stilte en bemerk hoe ieder energiecentrum afzonderlijk gevoed en geraakt wordt.